The secret bog located on the southern shore of Beaver Lake is a remnant of a larger bog that once existed prior to park developments. This small but important habitat in Stanley Park was in jeopardy of disappearing and reducing the biodiversity of the Park. It is one of only two bogs in Vancouver and contains unique plant species such as Labrador tea, bog laurel and the carnivorous round-leaved sundew. 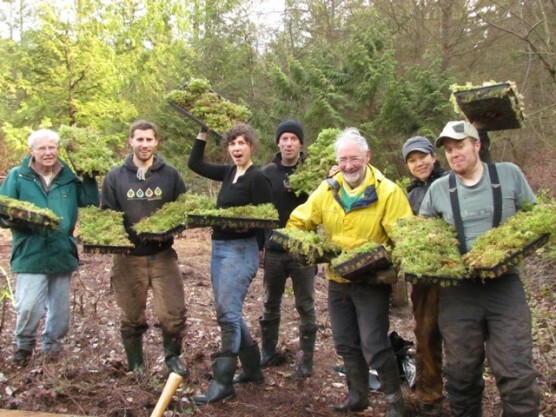 SPES staff have been working since July 2011 – in partnership with the Vancouver Park Board and with assistance from the Camosun Bog Restoration group, Young Naturalist Club and community volunteers – to restore the bog habitat. Through the generous support of the Vancity Envirofund and City of Vancouver Greenest City Neighborhood Grant, we hope to complete the majority of the work by June 2012. See the [Download not found] for more details.